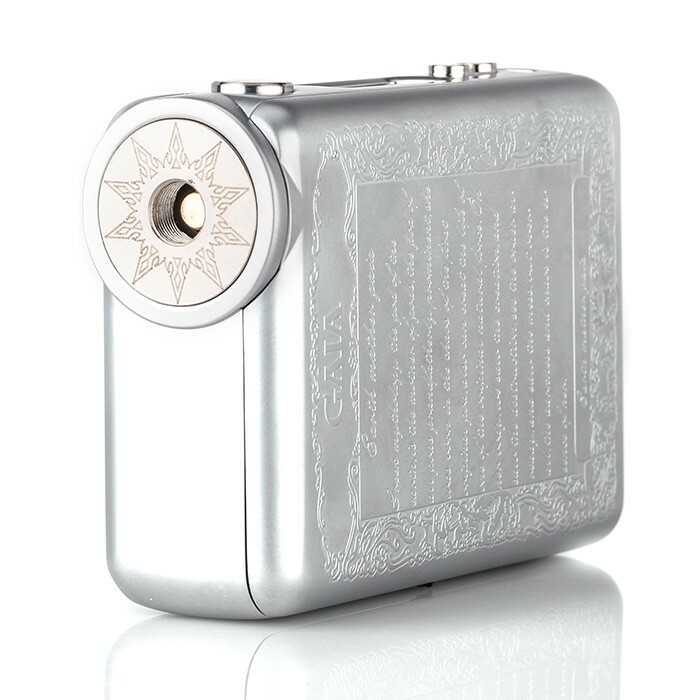 Here’s a sentence I never thought I’d say – one of the most attractive mods of the year features engraved paisley. 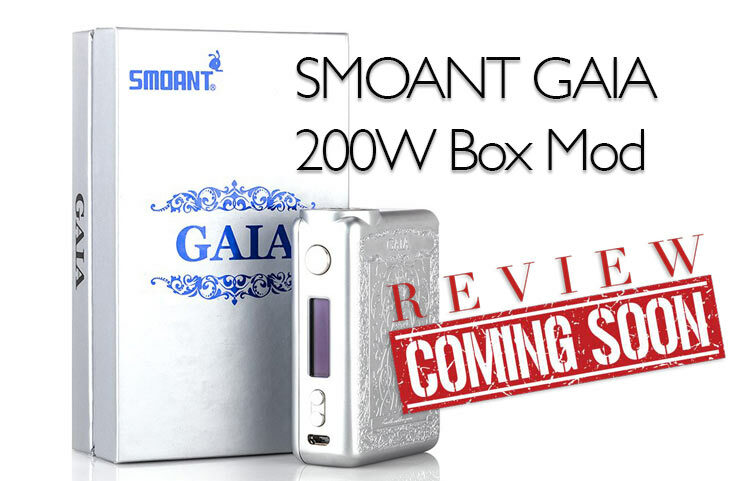 But it’s true, because the Smoant GAIA 200W mod just arrived, replete with meticulously engraved design and a downright inspirational tribute to the namesake Earth Mother. Confused yet? We are too. 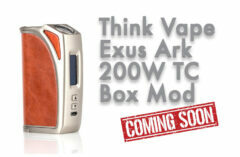 But since we’re always criticizing devices for being too similar, we’re excited to take a closer look at the truly unique GAIA, and more importantly, to see how it vapes. It seems the GAIA is running off the same chipset as the winning Smoant Charon TS mod, which we enjoyed reviewing last month. If that’s the case, then fans of simpler interfaces and pure power are going to love the GAIA. 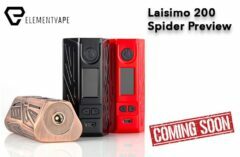 And it should vape really well, given Smoant’s pedigree as a top-tier manufacturer. Not to mention the specs they’re putting forth for the GAIA. With a 200-watt output, full temperature control suite, TCR settings, three memory mode settings, extensive protection features and the like, there’s plenty of brawn to go with the GAIA mod’s beauty. But the beauty is what many people will discuss most, so let’s take a closer look. 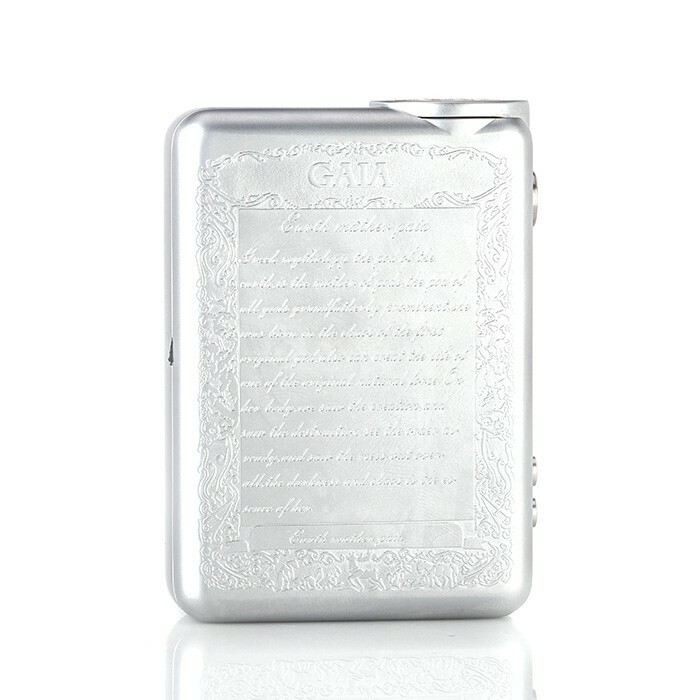 The dual-18650 GAIA is effectively a standard box with a surprisingly soft feel in the palm, which is surprising, considering its bare, engraved metal exterior. Weight-wise, the GAIA has plenty of heft, but the curved corners and “just right” dimensions allow the mod to feel substantial without it digging into the palm unnecessarily. Even the engravings – which don’t quite look hand-done, but are still impressive – are smoothed over and never interfere with the operations. Finally, the magnetized battery door is very strong, and required more than a little muscle to remove. This, accompanied by the extra-firm, clicky operation buttons, give off an air of strength. This is a nice counterpoint to the soft, ethereal engravings, which include a lengthy, detailed paragraph defining the significance of Greek goddess GAIA. How this relates to vaping, I’ll never know. 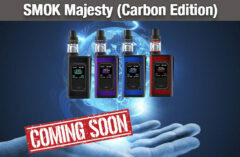 But if the GAIA vapes as well as its Smoant siblings, we’re not sure we care if we find out. Regardless of connection or importance, we’re looking forward to spending some quality time getting to know the Earth Mother GAIA over the next few weeks. It has already made a notable first impression on the team, but goddess or no goddess, it will still need to endure our testing. 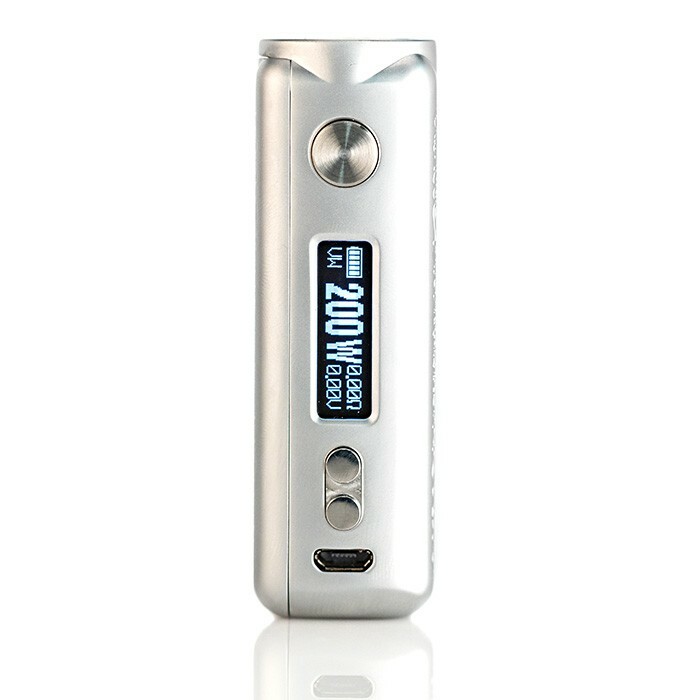 What do you think of the Smoant GAIA? Goofy gimmick or exciting new design trend? Let us know in the comments!